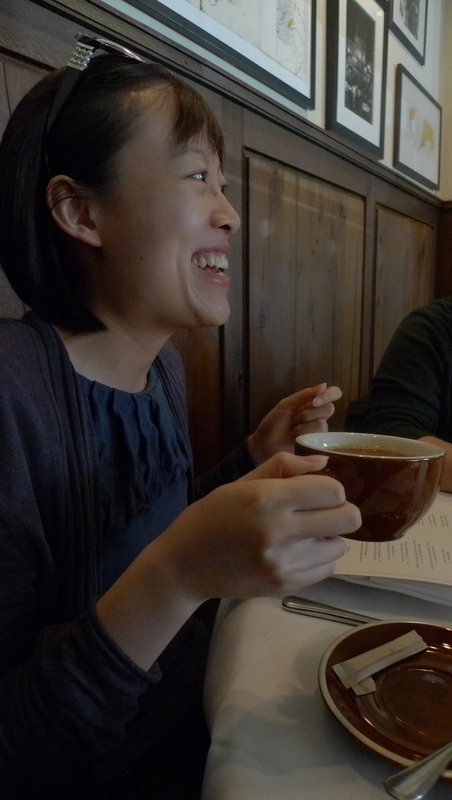 So it might be a turn off for non-meat consumers (if you knew what it meant), but when you’re with Danny Meyer, you will most certainly be well fed. 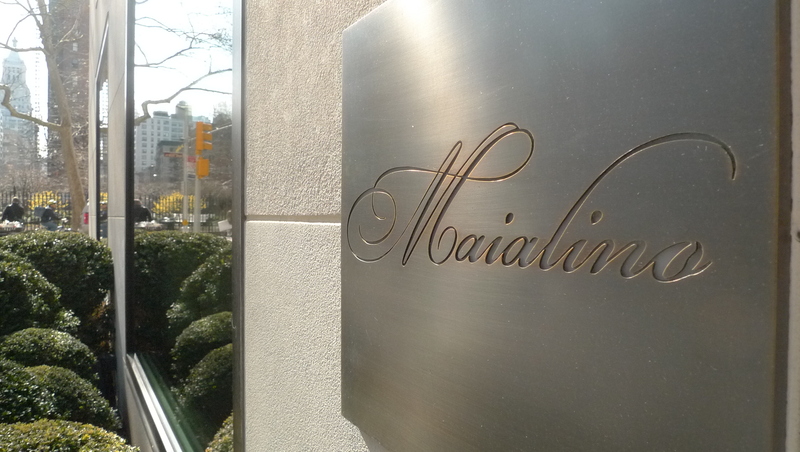 From the likes of Gramercy Tavern, Eleven Madison Park and Shake Shack comes Maialino. The signage at the door threw me off a little as I had feared and expected a little bit more stuffiness from being set inside Gramercy Park Hotel and located next to the park with the locked gates. But the space was nothing but laid back and welcoming. 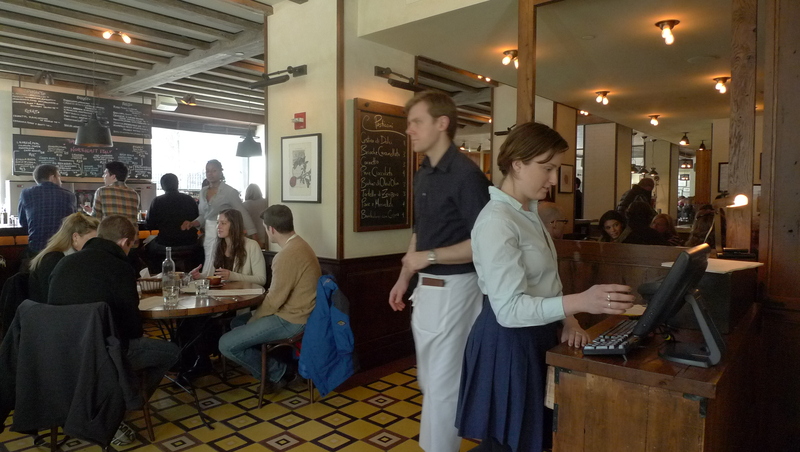 Family-sized tables and long counter tops dressed the dining area. 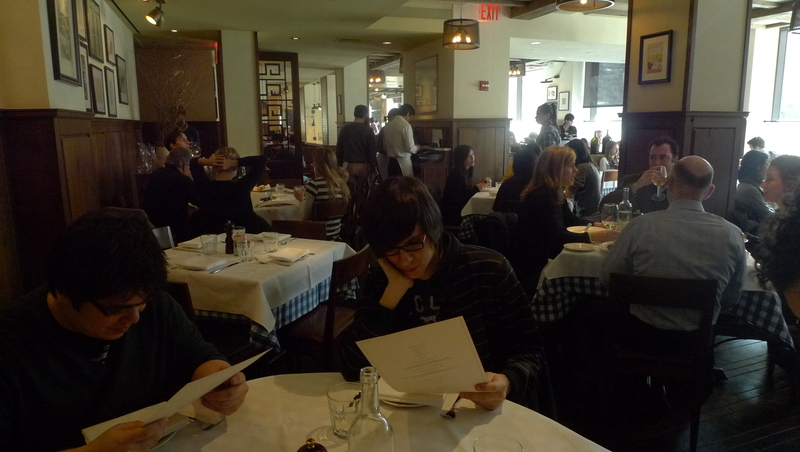 I would say the best party size for brunch would be 4 or more. 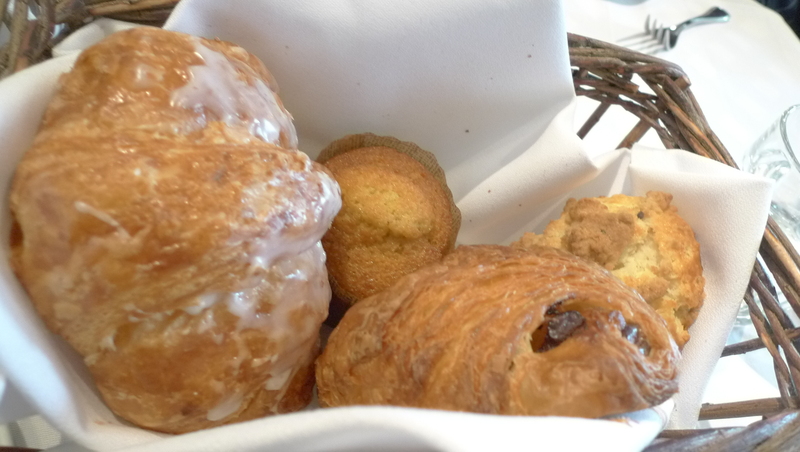 That way you would be able to sample the Cestino di Dolci (basket of pastries) and a whole host of other appetizers. The glazed croissant was truly buttery and perfectly flaky. The olive oil muffin had such a subtle taste and wasn’t overly sweet. 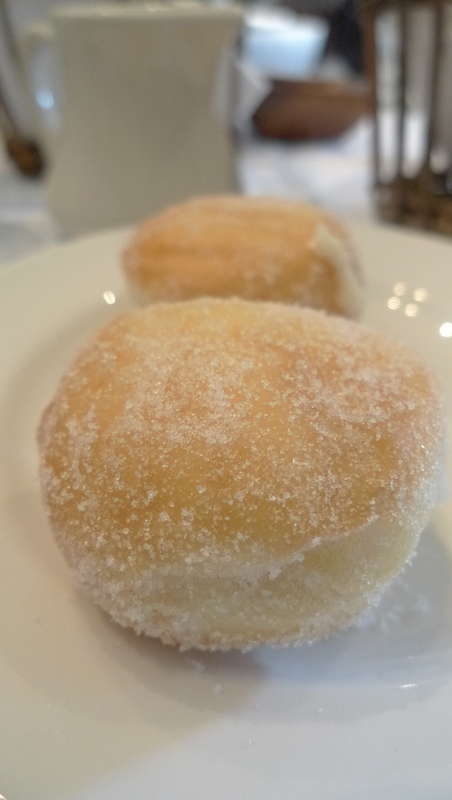 And the Bombolinis had just the right amount of cream and powdered sugar. The star of the day was definitely the Pancetta al Pepe Nero (thick cut black peper bacon), and unfortunately I didn’t manage to take a picture of it. 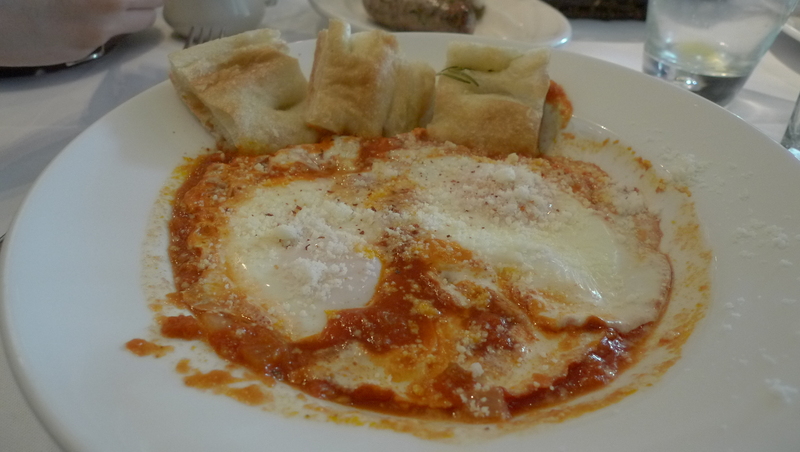 I really liked the Amatriciana eggs. Good amount of spice in the tomato sauce, though I could’ve done without the parmesan, but that’s just me. 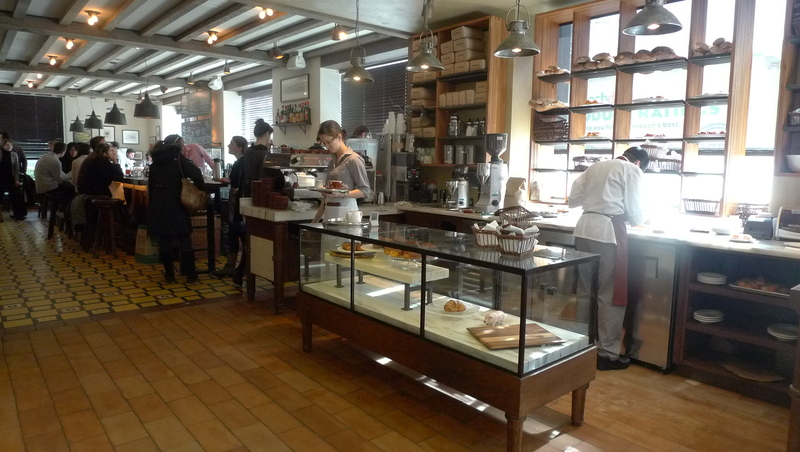 I also like how they have a bread/pastry section complete with a barista. The setup reminds me a little of Locanda Verde, but given the choice I would rather come here where it’s less crowded (or maybe it’s because we came on a Saturday instead of Sunday). Nothing like good breakfast to cure any unwanted reactions from the night before. 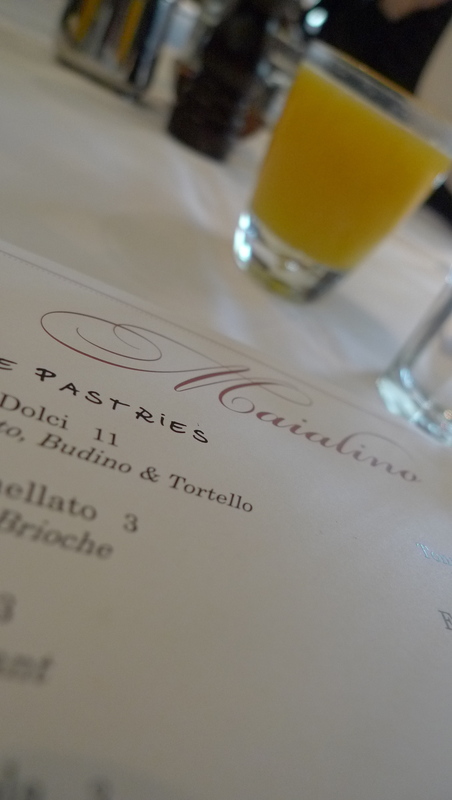 Next up would be to try a Maialino dinner.